Badge work – we still award badges and today there are lots of subjects to choose from including some traditional ones like camp cook to modern ones like global conservation. Awards and challenges – young people can work towards a range of these to reward participation, commitment and achievement. Some are individual and others for group efforts. 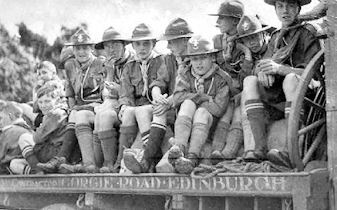 Outdoors – camping and outdoor activities are a very important part of Scouting for all our members. This includes anything from a Beaver experiencing their first ever night away from home and family at a sleepover, to an expedition to Mount Everest.